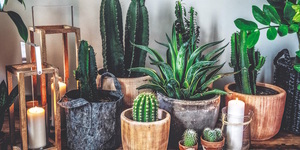 Ten councillors have already opened their email, which happens to be sent by Mr Mustard on behalf of the famous five Barnet Bloggers because he is probably the one who spends most time glued to his keyboard. 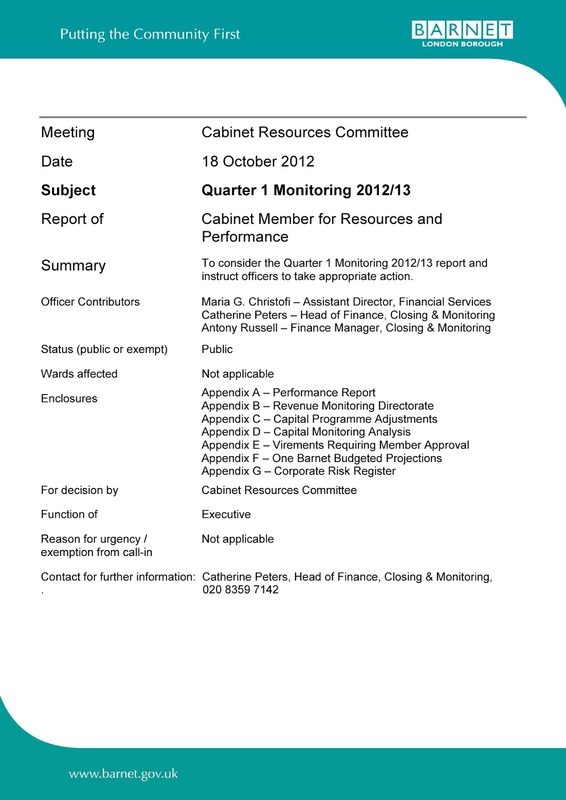 from Cabinet Resources Committee of 18 Oct 12. 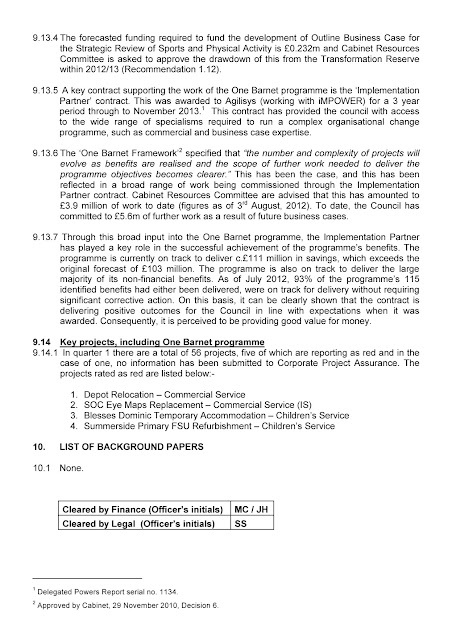 We know that many of you are now deeply concerned about the future of the Conservative administration, that you have profound misgivings about the viability of the One Barnet programme, and that you are also concerned by the response of the leader to issues arising from the arrest and consequent charging of your colleague Councillor Brian Coleman, in relation to an alleged assault. The announcement today that the much trumpeted Landmark Library plan has fallen through can only add to your sense of misgiving. Last week Andrew Travers, the newly appointed ‘interim’ Chief Executive of Barnet Council, affirmed to a committee that the ‘Joint Venture’ model was still very much under consideration, despite the fact that elected members have not been involved in the discussions for such a proposal, and that the leader has stated previously that he was being excluded from such discussions. 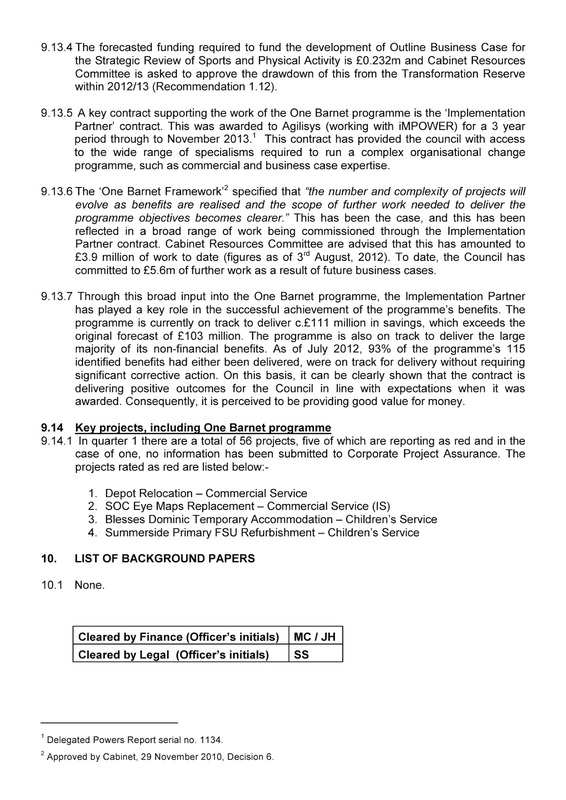 Another question that must be addressed is the extraordinary level of cost to local taxpayers of Agilysis/iMPOWER, the consultants who are acting as the One Barnet ‘implementation partners’ – newly released figures reveal that their bill for September alone cost us nearly half a million pounds, and spending on all consultants, wildly out of control, is now estimated to reach a staggering total of £9.5 million. Such extravagance with taxpayers’ money at a time of austerity, with no return in the form of savings is clearly a reckless indulgence, benefiting no one other than the consultants themselves. 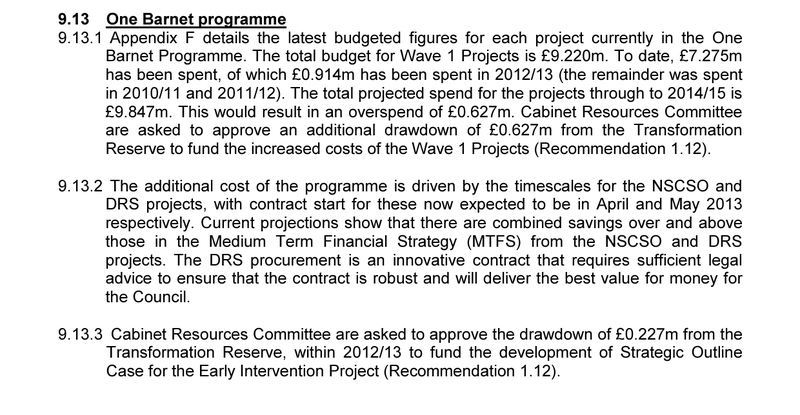 In combination with the loss in revenue as a result of the newly privatised parking service, it perfectly illustrates the improbability of the delivery of any of the promised savings from the outsourced profit of the One Barnet programme.